Feedback Foundation is facilitating Shri Ram College of Commerce (SRCC) to achieve ‘No Open Waste’ (NOW) status using Principles of Decentralized Solid Waste Management (SWM) and the Citizen-Led Total Sanitation Approach. 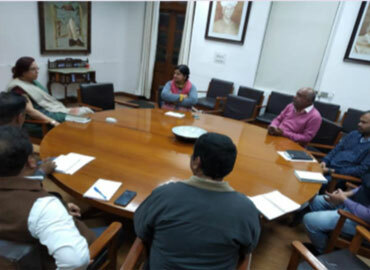 Kick off Meeting was held in February, 2019. Situational assessment has been carried out to map waste generation, garbage vulnerable points and key stakeholders. Sensitization of ground staff and training on segregation of waste is being done. College management is enthusiastic and has assured of full support. Planning for Sanitation Park is also in progress.